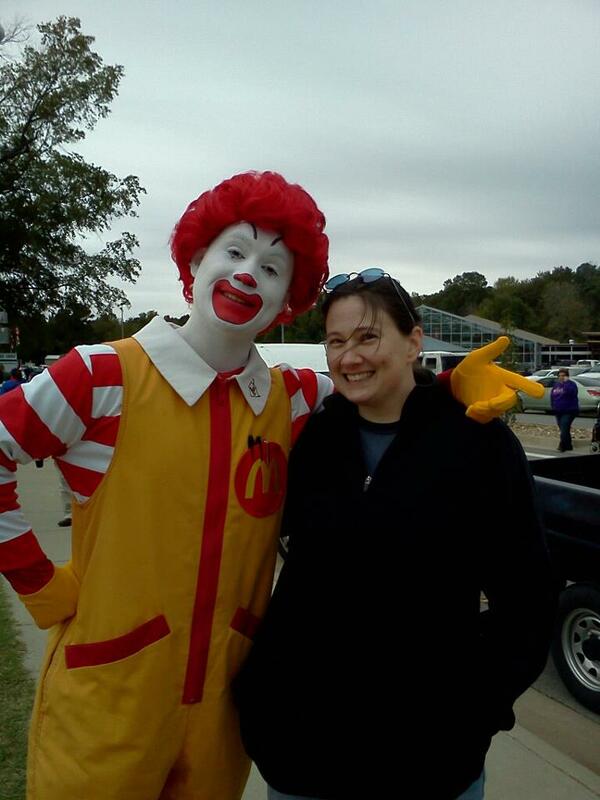 Yesterday was our Fall Fest here in Bryant, Arkansas. 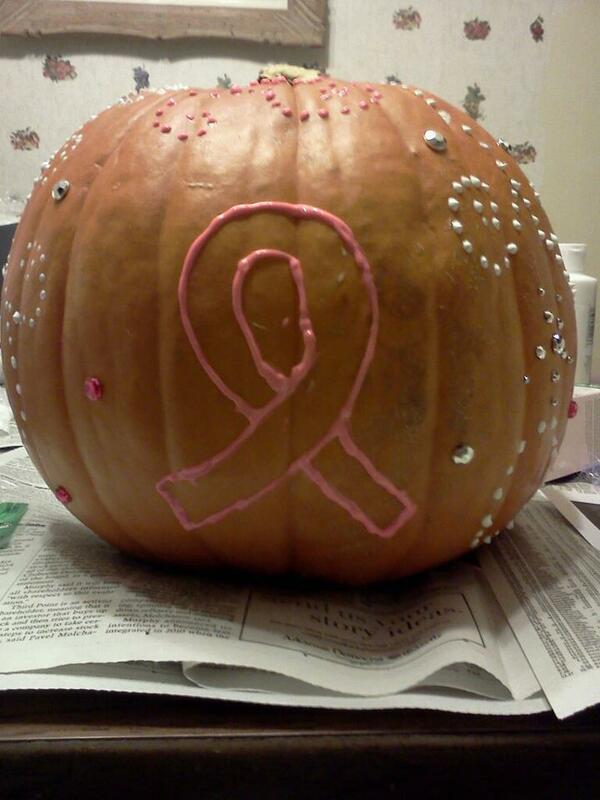 My daughter helped me decorate pumpkins for the Pumpkin Bling Contest. 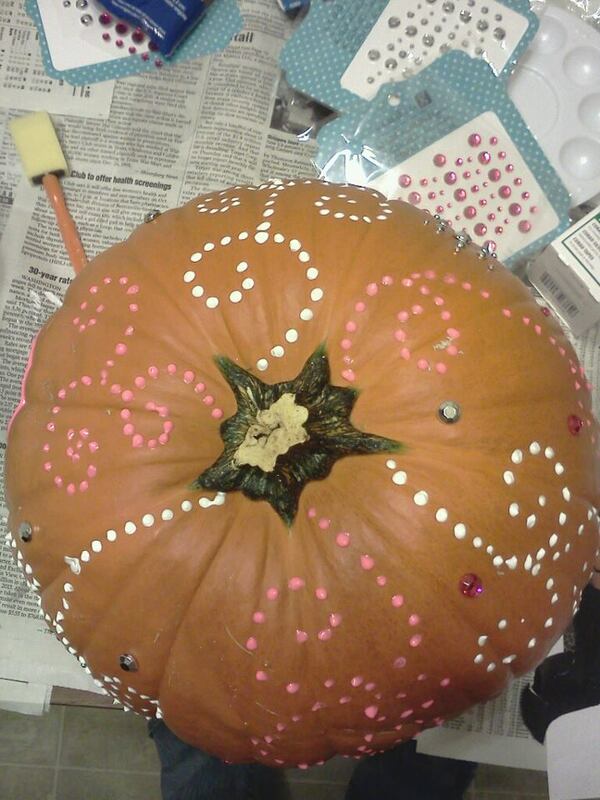 First time I’ve ever heard of Pumpkin Blinging. I had to check it out on the City of Bryant’s Facebook page to see what that meant. They really didn’t have a preference They said we could carve, paint, or bling it out. 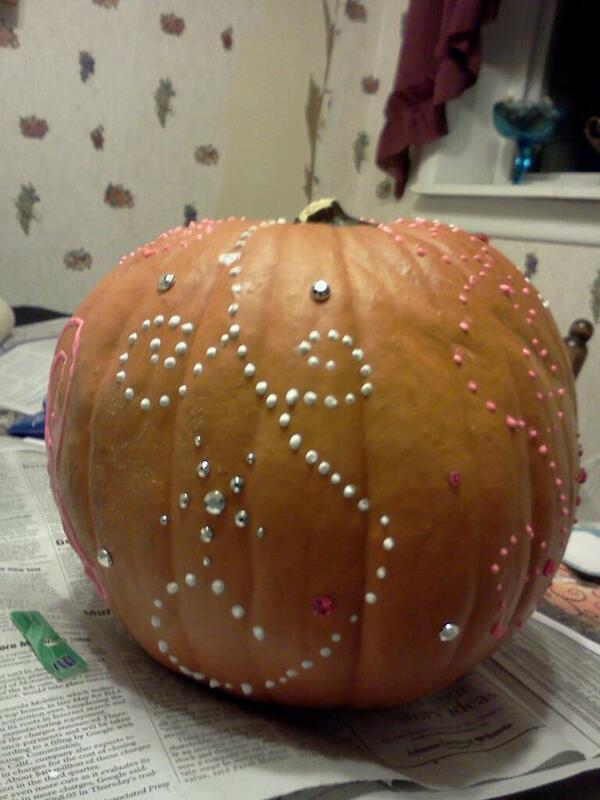 ‘Bling it out’ only meant to decorate it with sequins, gemstones, or glitter. Something interesting, I thought. 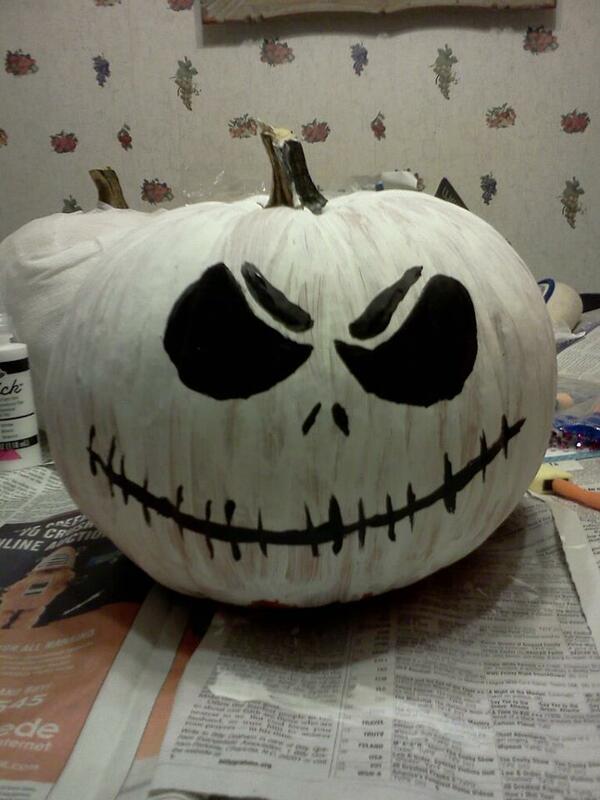 I’m only use to painting or mostly carving, but I wasn’t going to carve a pumpkin with a two year old. With some help of a friend, who directed me to her Pinterest page, i was able to figure out a few design ideas. 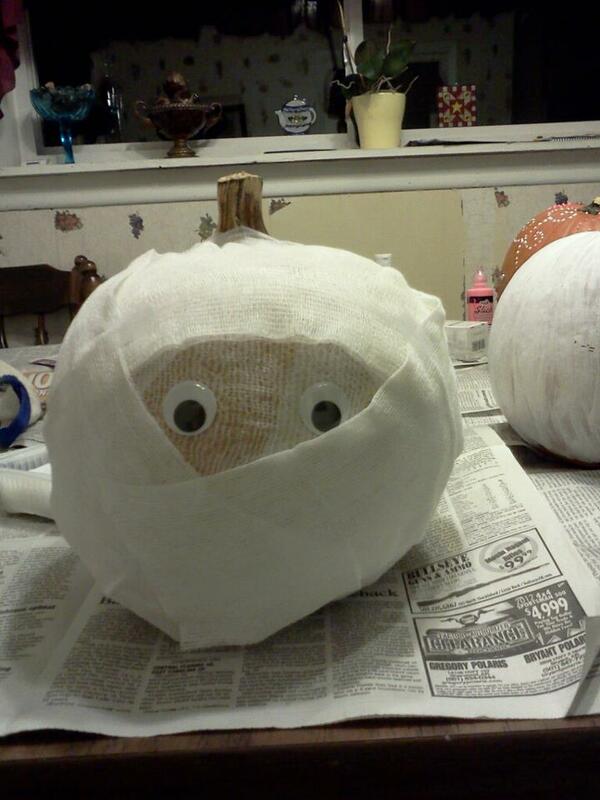 I bought three pumpkins, some fabric paint, gemstones, gauze (for the mummy pumpkin), and paint brushes. Dublin helped me paint her pumpkin and even tried, unsuccessfully, to eat her paint brush. Yes, I was watching her that closely as I know her all too well. After a few hours we had three nicely decorated pumpkins; which I left on the kitchen table to dry overnight. The next day my daughter and I got up early. My parents, who brought along my eight year old nephew, followed me over to Bishop Park. The temp was 44 degrees F and the forecast called for rain. I put Dublin in her stroller and bundled her up with two blankets, put one of my extra jackets on my nephew since his was too thin, and we walked our way up to the Fall Fest booths. The first thing we did was dropped off our pumpkins. There were only a few entered in the contest already. Some very cute ones in the youth category. Mother’s and mine were the only ones in the Adult category and there were a few and the last category, which was business. It was still early yet and booths were still being set up. So, we stopped at the ones that were already up and ready. Some of them had games, which my nephew played for toys or candy. I had his and my daughter’s pictures drawn. Then later my nephew learn how to make a pen in the shape of an airplane. I had one made for Dublin in the shape of a star. It was interesting just watching how it was done. The guy heated up the pen, lays the certain shape down on a wheel, gets the pen out of the heater, and has about 3 seconds (because of the cold temp outside) to shape the pen. There were a few ‘guess how much candy is in this jar’ contests. Some booths had things for us adults to enter to win this or that. There were many booths selling all kinds of arts and crafts and handmade jewelry. Almost every booth was giving away free samples of their products and/or candy. All and all there were 112 booths. By the time the parade was over and the Bryant Hornet Cheerleaders came over to dance and shout cheers for the crowds, it had started to sprinkle. I told my dad that now would be the time to make and exit before we got stuck with everyone leaving at the same time. On our way out we ran into Ronald McDonald and suddenly I was five years old again. I just had to have my picture taken with him. I was grinning so big my dimple was showing in my right cheek. We had finally made it safely to our cars just as the bottom fell. Now I don’t feel bad for making the decision for leaving when we did, as we would’ve all been soaked. We probably spent forty minutes at Fall Fest, but we’re hoping next year the forecast will be somewhat drier. And if there’s a Pumpkin Bling Contest, I’m a bit more prepared this time. Happy October everyone! This entry was posted in Blog, Halloween and tagged Arkansas, autumn, autumn weather, Bishop Park, Bryant Arkansas, Bryant Hornets, daughter, Fall Fest, family, Festivals, October, parents, Pinterest, Pumpkin Bling, pumpkin decorating, pumpkins, Ronald McDonald on October 7, 2012 by JenniferNAdams. It was fun except for the cold. I’m looking forward to next year.